In Luna Lodge, you will find simple yet comfortable and spacious bungalows. Each of the bungalow is warm and inviting and features domed ceilings and plenty of windows that allow the fresh air and natural light enter the rooms. The white cane walls give the environment a rustic touch. All the bungalows are featured with a private deck, two double beds, a private bathroom including bathtub and hot water shower. The bathrooms have unique design and overlook stunning view of the private garden. 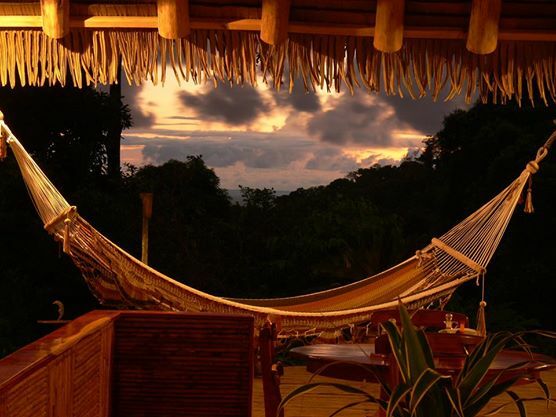 Through the windows of your room, you will enjoy watching the stunning view of the jungle ad ocean. All the bungalows have vaulted thatched room and the rooms are categorized into Hacienda Styled Rooms, Colonial Style Hacienda Rooms and enclosed Nature Lover Platform Tents. 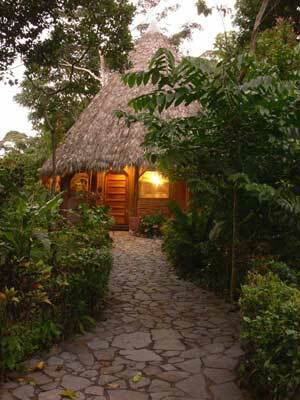 If you want to enjoy your honeymoon at this lodge, you can stay at the special honeymoon suite offered by the lodge. Honeymoon suite is featured with a king size bed. If you stay at this lodge with a group of friends, you can enjoy some fun time sitting on the mountain deck from where you can also enjoy watching different species of colorful birds and amazing tropical sunset view. There is also a rock-encrusted swimming pool where you can spend some relaxed time. In its property area, Luna Lodge has restaurant, bar, reception, library and gift shop. The restaurant serves a variety of local and International cuisine with unique twist. All the dishes are prepared with fresh products that are grown on the property. In this restaurant you will also find delicious vegan and vegetarian dishes available. The dining area is open-air, with boho-chic dñcor and an extensive wine selection. You can enjoy taking sunbath in the pool and also cool off. Nestled alongside the rancho, the pool area is perfect for enjoying some relaxed time and watching the view of bright and beautiful garden as well as the bountiful natural charms of Luna Lodge. Luna Lodge has in-house Spa that offers a variety of wellness treatments and holistic relaxation therapies. If you take this therapies, you can make your body and mind relaxed and refreshed. There you can also enjoy Reiki healing sessions along with a Chocolate therapy and get rid of any kind of stress and tension. 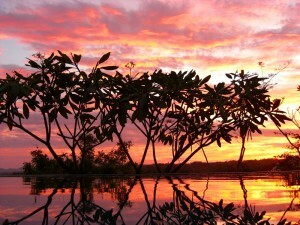 You will enjoy therapies in the midst of a therapeutic natural setting. Trained and certified professionals will give all the treatments. Luna Lodge has an open-air retreat center that is ideally designed for practicing aromatherapy, Tai Chi and Yoga there is a perfect backdrop for meditating. corporate events, visualization techniques and creative work. While staying at the Luna Lodge, you can discover how to balance your mind, body and life by practicing Yoga in a natural setting. You will do your yoga practice on the amazing yoga platform high on the hill-top. 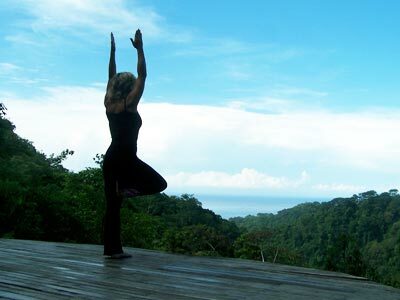 Yoga workshops offered by the lodge combines Vinyasa, Kundalini, Yin yoga and balancing poses. You will do yoga postures, breathing exercises, meditation, visualization, mantras, mudras and Bandhas. By practicing these workouts, you will be able to awaken your inner energy. The owner of Luna Lodge, Lans Wedmore has been practicing and studying yoga for the past 25 years both in the United States and Costa Rica. Luna is a regular Yoga instructor at Luna Lodge. Another Yoga instructor and massage therapist at Luna lodge is Amed Bermudez who has studied yoga in the United States and Costa Rica.